Our hotel barges are an essay in contemporary and traditional luxury, designed with comfort and elegance in mind. Every vessel in the fleet benefits from an annual refurbishment to ensure that everything is at the highest possible standard for the approaching cruising season. 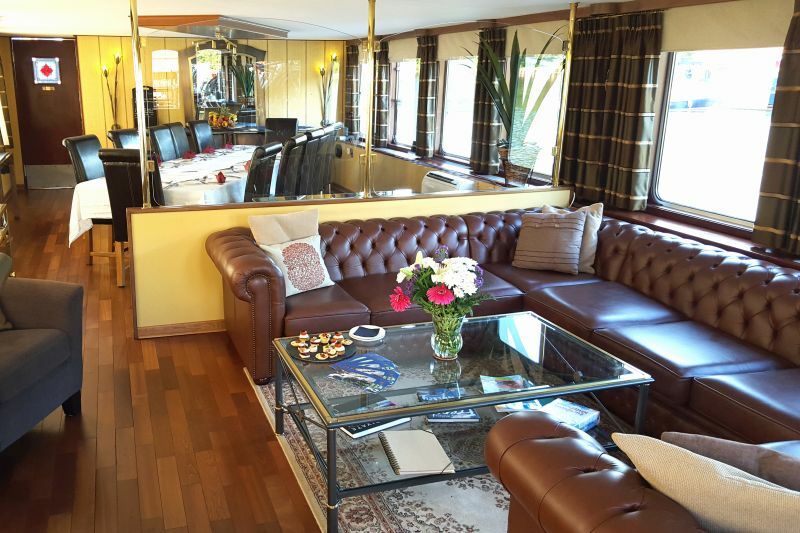 Whichever hotel barge you choose to cruise on, you can be assured that a lot of thought and care has gone into combining traditional features like hardwood panelling, antique furniture and décor, with expected creature comforts such as air-conditioning and central heating. 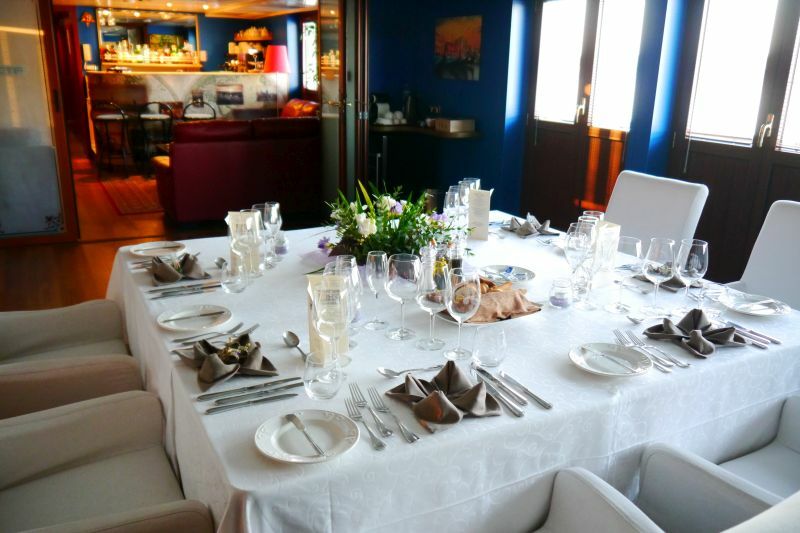 While you will enjoy a superb level of comfort aboard any vessel in our fleet, each barge is very much an individual, with décor, furnishings and artwork specifically chosen to complement its unique history. For example, you’ll find Spirit of Scotland kitted out in the finest tartan upholstery, reminiscent of a regal, highland hotel, whereas Renaissance with her wooden beams and open plan airy saloon is akin to a classic French manor house. We offer accommodation to suit all tastes, from cosy staterooms, rich in character, to spacious cabin suites, elegantly decorated. If you wish to get away from it all, then a well-stocked library or an abundance of on board games are available across all hotel barges. Or, if you want to check in and let your friends and family know how much you’re enjoying yourself, Wi-Fi comes as standard. Oh, and the bar is always open, so feel free to request a drink from a crew member, or fix yourself one as you please.